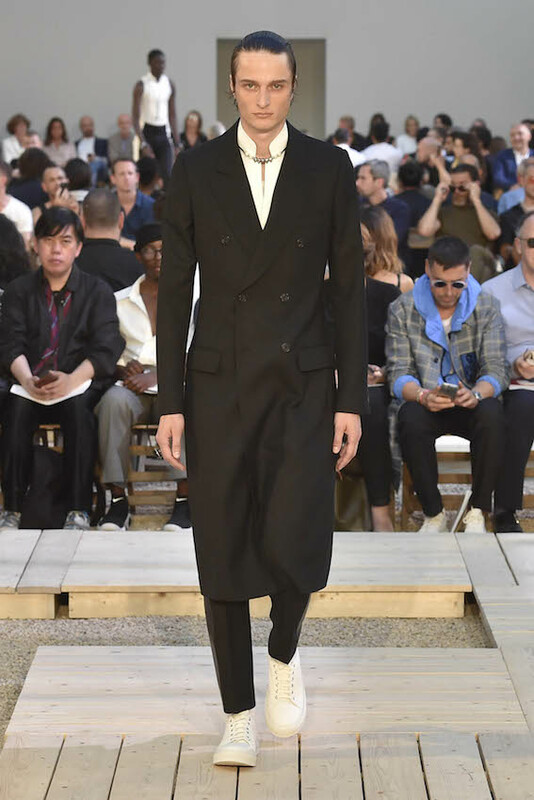 Held at the Orangerie du Senat in the Luxembourg Gardens, Alexander McQueen’s SS18 menswear collection saw the house return to the runway, in a move to join the Paris schedule. 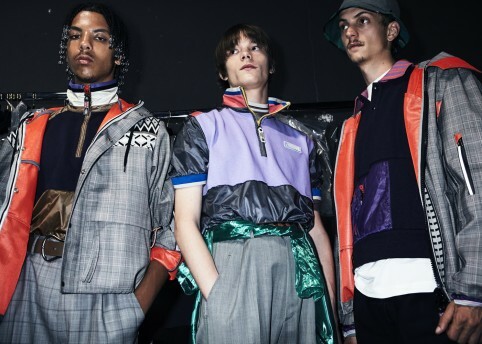 Since 2005, the brand has moved from Milan to London and more recently opted for presentations and lookbooks in favour of the traditional catwalk. 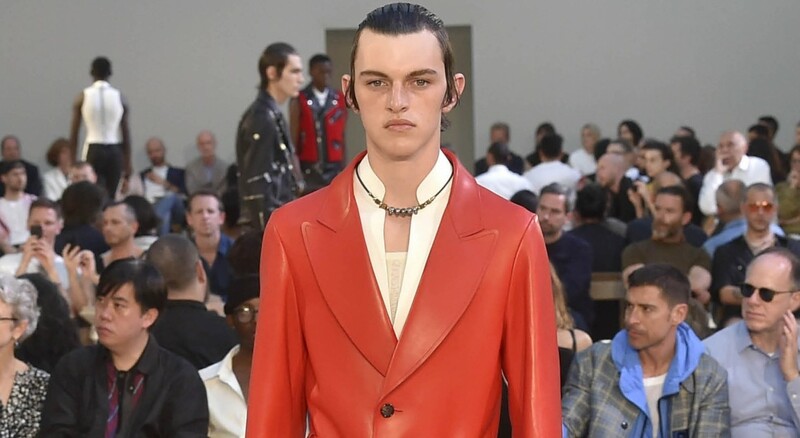 In keeping with Alexander McQueen’s spirit of adventure (and deviance), the last collection was inspired by Oscar Wilde – aka the literary world’s most notorious dandy – and shot as a lookbook by Ethan James in a London. 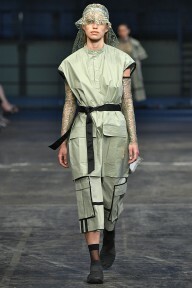 For the season’s penultimate show, creative director Sarah Burton, turned to the works of yet another literary-great for inspiration. This time, she explored Rudyard Kipling’s 1898 poem, The Explorer, which tells the story of a man in search of his own voice, who then finds meaning through the experience of exploration. As a designer, Burton is an expert storyteller and a champion of craft. 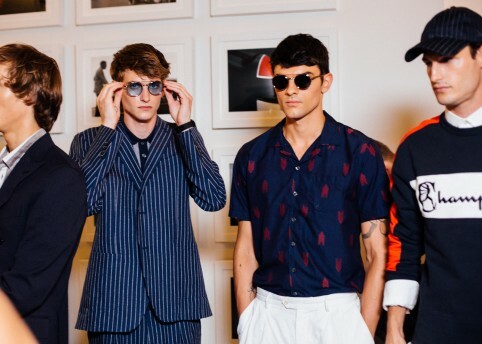 Extracts from the poem were printed and embroidered across the garments throughout the collection, which began with clean tailoring via sharp double-breasted jackets and ivory leather bib fronted shirts and slim fitted trousers. 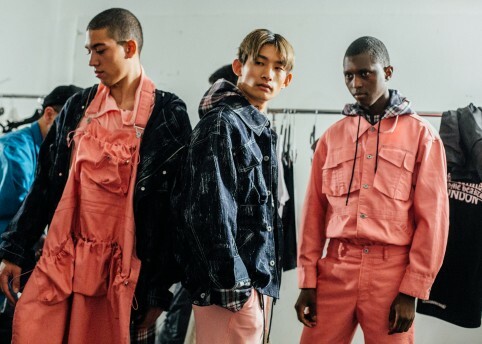 The show unveiled suits cut and bonded in black and scarlet leather, patchworked outerwear in camel and Prince of Wales check and oversized trench coats reversed and inset with wool and silk jacquard patchwork. 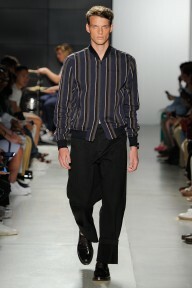 As the show progressed, the silhouettes gradually became more relaxed via the oversized oxford shirts and pyjama trousers. 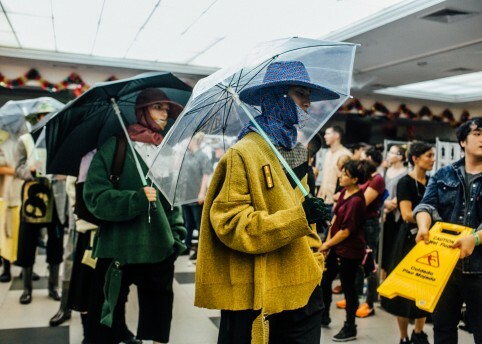 The theme was captured throughout the collection in the form of exquisite hand-stitched embroideries of contour maps, “explorers’ notebooks” and specimen sketches. But the piece that did it for us was a statement white-leather cape, adorned with embroidery and reams of loose scarlet thread. We’re not sure how practical it would be for exploration, but if you were feeling adventurous in style it would certainly qualify as a daring look.